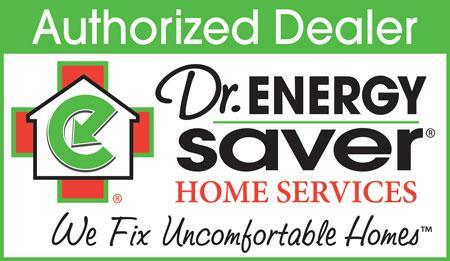 Dr. Energy Saver Solutions, A Service of DBS installs radiant barrier attic insulation and are experts in saving energy in your attic, as well as many other parts of your home. Radiant barrier and attic insulation are key to Dr. Energy Saver Solutions, A Service of DBS' 10 Energy Vital Signs, a comprehensive examination of your home's energy loss and production. Contact us today to schedule your free radiant barrier insulation estimate in Two Harbors, Nisswa, Saginaw, Duluth, Esko, Superior, Grand Rapids, International Falls, Cloquet, South Range, Carlton, Bovey, Cohasset, Moose Lake, Hibbing, Ashland, and all neighboring areas. Installing radiant barrier insulation in an attic can reduce air conditioning expenses by 10 percent or more. Installing a radiant barrier in an attic cuts air conditioning expenses by 10 percent or more. Dr. Energy Saver Solutions, A Service of DBS in Minnesota & Wisconsin can install a radiant barrier against the bottom of your rafters to help improve cooling efficiency in the summer and heating efficiency in the winter. Call 1-855-580-2907 or contact us online to schedule a free estimate for home insulation in Saginaw, Grand Rapids, Esko, Two Harbors, Nisswa, Duluth, Superior and nearby areas including Cloquet, Ashland, International Falls, Moose Lake, Bovey, Hibbing, Cohasset, Carlton, South Range, and more. We also offer a home energy audit to help identify other contributing issues!